In Part One we met Linsey and Craig, the couple who had always dreamed of a glamorous Marbella beach club wedding. Today we find out just how much the Scots like to party. Everything was going to plan, the maids had entered the church and there was only Linsey, her father and Scott left outside when something highly unusual took place. Linsey suddenly stopped walking and began to giggle. An adorable cat had followed her up to the church and decided it would be a fun game to play with her veil. It was a lovely moment and broke any tension and nerves that she felt. Lizzie conducted the ceremony and soon had the guests in tears with her emotional service. 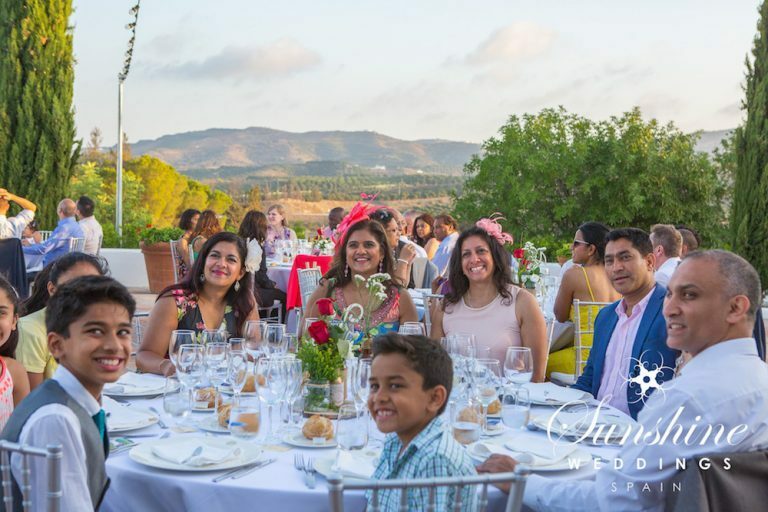 The couple then took advantage of their unique location; the chapel is located is a small, pretty development of brightly painted townhouses built around cobbled pedestrian streets, ornamental fountains and beautiful landscaped grounds in the style of a typical Andalusian village. This, of course, makes for a range of beautiful backdrops for photographs. 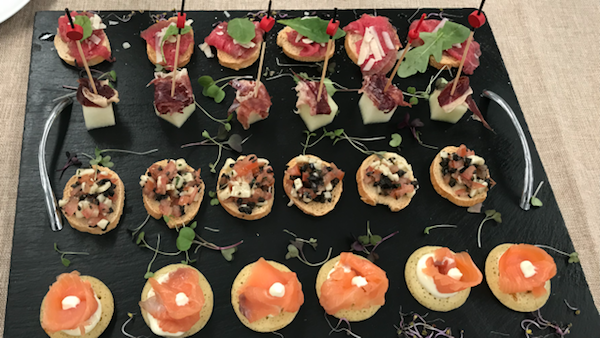 While photographer David set to work with the couple, guests were lead down the narrow cobbled paths to the charming tapas restaurant located within the community where they were able to enjoy a host of canapes and a selection of cavas, beers and wines. The reception was held at one of the most exclusive beach clubs on the Coast. 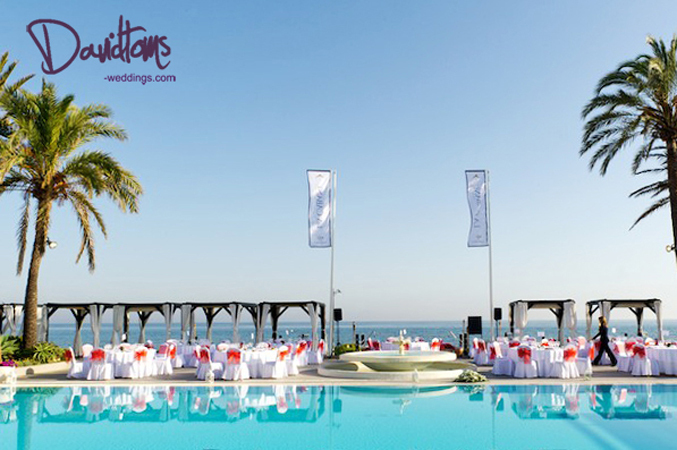 With its location on the shores of the Mediterranean, it boasts magnificent panoramic views and its functional and modern design make it the ideal place for a wedding. The Sunshine Weddings Spain team personalised the venue for the couple by hanging glass teardrop vases filled with pink petals and candles from the white four-poster beds surrounding the pool. Cerise pink chair bows also added a pop of colour to the white table and chair linens. The wedding breakfast consisted of Prosciutto and Cantaloupe Melon, followed by Chicken, Baby Vegetables and Potato Gratin. For those who fancied something sweet, the Vanilla Mousse and Strawberries went down a treat. The highlight of the meal had to be the jaw dropping four-tier cake created by Omaya, which featured a cascade of hand-crafted pink sugar peonies and orchids. 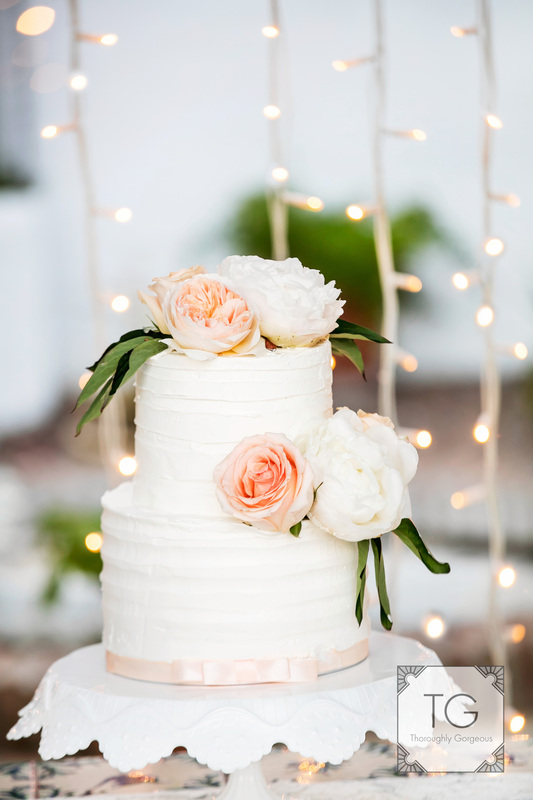 The cake was flanked by the couple’s initials in lights, which only added to the wow factor. After speeches the party continued inside, with DJ Fuller on the decks and Roberto on Sax. It truly was a day to remember.